Claim your free sample ® Vanilla Biscotti-flavored coffee @ Folgers. 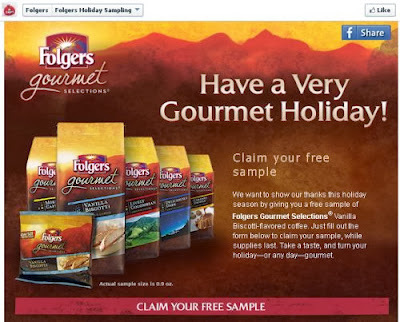 Just click the linkbelow to go to the Folgers Facebook page. 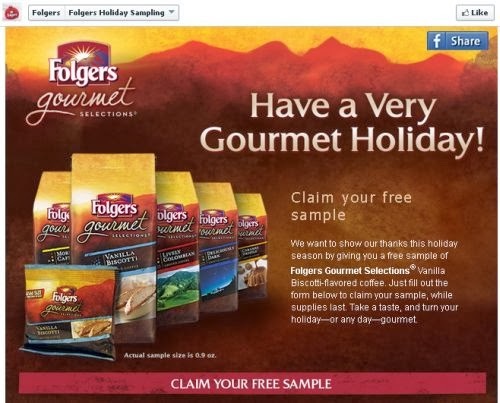 Once on their page "like" folgers & fillin your mailing information to claim your coffee sample.